Man, that has got to be the cheapest possible way to justify a Caity Lotz guest star credit. Also, that is not going to end well. In “Midnight City,” Laurel dips back into the Christopher Nolan part of Arrow’s creative DNA when she echoes Bruce Wayne’s observation in Batman Begins, namely that certain heroic symbols can strike far more fear than the real-world antics of specific vigilantes. 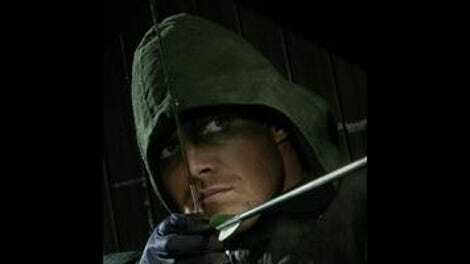 Although the team proves tonight that they don’t need Oliver to function, the fact remains that the criminals of Starling City do not live in fear of the Red Arrow, nor do the city’s citizens take much comfort from knowing that that dude is out there firing arrows and doing parkour at the bad guys. When Sara was still alive, the Canary could instill fear in evildoers nearly on par with the Arrow, though her more shadowy modus operandi meant that the people of Starling City remained generally unaware of her presence. As such, as far as the good people of Starling City are concerned, it wasn’t really the Red Arrow—or Arsenal, though apparently that codename hasn’t gone mainstream just yet—and the Canary that went after Brick and the aldermen. They were just “the Arrow’s friends,” which isn’t exactly unimpressive, but it sure as hell isn’t impressive, either. Let’s consider Roy for a moment. The show has only felt at best mildly interested in him post-Mirakuru—he still plays more as a semi-anonymous junior associate than Oliver’s sidekick—but he’s quietly turned into a reasonably competent crime-fighter. That sounds like only a minor recommendation, I realize, but his timely rescue of Laurel from that two-bit hoodlum does show some serious skills, and he’s commanding enough in person to get Laurel to come back to Arrow headquarters with him for some stitches and a lecture. Hell, he doesn’t exactly strike fear into Malcolm Merlyn, but then nobody does that outside of Ra’s al Ghul. He does, however, actually manage to land some decent points about the dangers of lying to Thea, and he’s at least indirectly responsible for Malcolm changing his mind about how he deals with his daughter. All of which is to say that the Roy Harper we see tonight has the makings of a crime-fighter, even if he does perhaps lack Oliver’s more honed tactical mind; given Oliver’s own penchant for deadly errors (and the subsequent scenes of mordant self-recrimination), I’m not going to rule out that the Arrow would have made the same mistake and fired that arrow at Brick, prompting the alderman’s death. But it does fit with what we know about Roy, and what this episode reaffirms: He has the kind of street-level knowledge that can make him an effective, if overly reactive crime fighter, but he lacks the bigger-picture view that Oliver needs to defeat Starling City’s biggest threats. Laurel is in even worse shape, which is actually to the show’s great credit. The first half of this season’s Laurel story arc always played as vaguely ridiculous because of the assumption that, once Laurel finished her few weeks of training, she would somehow emerge as a capable, comics-mandated inheritor of the Canary mantle. Nah. Laurel is a damn mess here, not even using the sonic scream that gives her the one identifiable advantage she has over her criminal foes. “Midnight City” chooses to route this ridiculousness through still further meditation on what motivates people to keep fighting, as Felicity realizes that neither she nor Laurel nor Ray can hope to be effective vigilantes when everything they do is defined by those they have lost; for Felicity, she withdraws because she can’t bear to relive the trauma of losing Oliver, while the others hope to use crime-fighting as a means to exact vengeance for the deaths of their loved ones. The notion of tragic loss spurring on superheroes isn’t exactly new—I mean, there’s Batman, and Spider-Man, and about half of all other comic book characters—and Oliver himself redefined his quest and adopted his no-kill rule to honor the fallen Tommy. But that tribute to his dead friend was a way of carrying forward his legacy, or remembering him, and even then this motivation paled in comparison to Oliver’s commitment to protecting the living. The characters in “Midnight City” seek only to forget their lost loved ones, to mitigate their pain by punching bad people really hard. That isn’t healthy, and it isn’t even effective. That notion of reckoning with the bonds of love also reverberates through Oliver and Maseo’s story, both in the past and in the present. While Oliver recuperates from his, um, death—which, to be fair, has plenty of precedent in the comics—the episode explores how Maseo exploited the comradeship he had forged with Oliver in order to get his wife back from China White, even if it did mean risking the deaths of potentially thousands of people. It’s quite a swerve, considering last week’s episode appeared to lay out such a clear path for the debt that Maseo and Tatsu would need to repay, but then you don’t abandon your old identity and join the League of Assassins because everything else in your life is going great, now do you? (The League of Assassins is a bit like graduate school in this respect.) 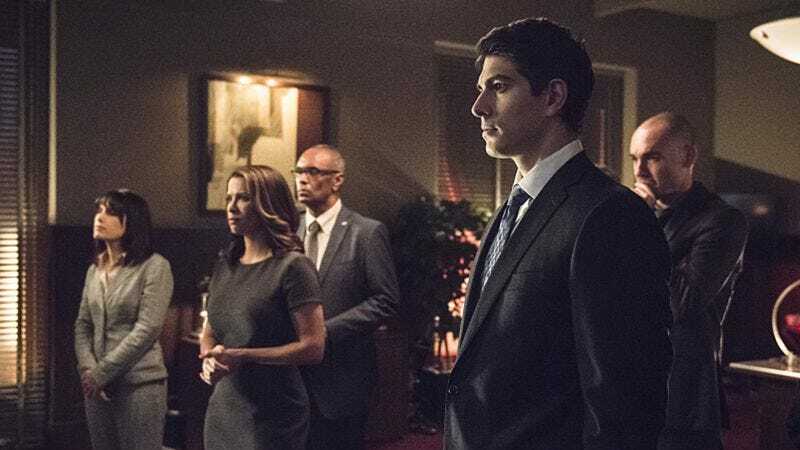 Maseo’s near-betrayal is the kind of decision that Oliver can respect, at least in the long run—if Arrow cares about anything in the long run, it’s family, constructed or otherwise—but it also reminds us that the Hong Kong story has more twists to reveal, and that something still must go horrifically wrong to drive Maseo to become Sarab. The fact that Maseo and Tatsu’s son goes unmentioned in the cabin might just be a bit ominous. “Midnight City” is a wonderfully self-aware episode, one that appears keenly cognizant of how ridiculous Roy and Laurel look suited up and flying to the rescue in a helicopter that Diggle can barely fly. The episode gives the ensemble credit for actually saving the day and foiling Brick, if only for about a half-hour. But then the fact that the police are still ordered to abandon the Glades is proof that the Arrow is required, not because the team is lost without him, but because all of Starling City is. The episode gives the main characters plenty of time to realize this, but they all have people still worth fighting for. But dying cities don’t really have the luxury of giving their shadowy protectors the time they need to work through their identity crises. For all Oliver’s own self-doubt, he was able to project an absolute belief as the Arrow that earned the trust of his city. The journey he had to go on to reach that point may well have helped create the conditions for villains like Brick, but then that’s why you really can’t have your heroic vigilante suddenly disappear. The great success of this episode is that it demonstrates that the other characters don’t need Oliver to function, while still leaving no doubt at all that Arrow desperately needs the return of its leading man. If you had gone up to Roy and Diggle a few years ago, showed each a picture of the other, and told them that they would be drinking buddies one day, what do you think the reaction would be? I’m guessing Diggle would have responded with sardonically amused disbelief, and Roy would have jumped off a wall for some reason. Just when I thought horny DJ was a complete waste of space—seriously Arrow, who cares about extraneous Thea romance subplots! ?—boom, he’s an informant for the League of Assassins. I really hope that Ra’s al Ghul had to sign off on the expense reports for that kid’s DJ academy or what-have-you.